Build essential Marketing skills with 2 great courses and save 20%! If you are interested in a career in the field of Marketing, it is essential to build a solid understanding of the Digital Marketing, Branding and Social Media landscape. Each of these key subject areas have a great impact on each other, and the Marketing Toolkit will help you master this complex field. Learning how to market in a digital context is becoming more and more important for a successful career, so show your potential or existing employers that you are passionate and driven to stay ahead of the curve. Enrol with the Marketing Toolkit today and take your first step towards a creative and rewarding career. Starting in September with the first course, you will build a foundation in Digital and Social Media Marketing. Learn how to identify your target audience and develop a strategy that is cost effective and generates results. In October, you will then dive into the world of Digital Branding, where you will learn how people’s perception of your brand affects how they behave, and how you can adapt the personality of your brand to match your target audience. We are offering you a discounted bundle: purchase both the Certificate Track for both Digital and Social Media Marketing and Building Strong Digital Brands and get 20% off. After successfully completing the courses, you will receive an identity-verified Certificate of Accomplishment with your final grade for each course, signed by the instructor. If you achieve a top 10% grade, this will be noted on your certificate. You can be sure your achievements count with our identity-verified certificates. 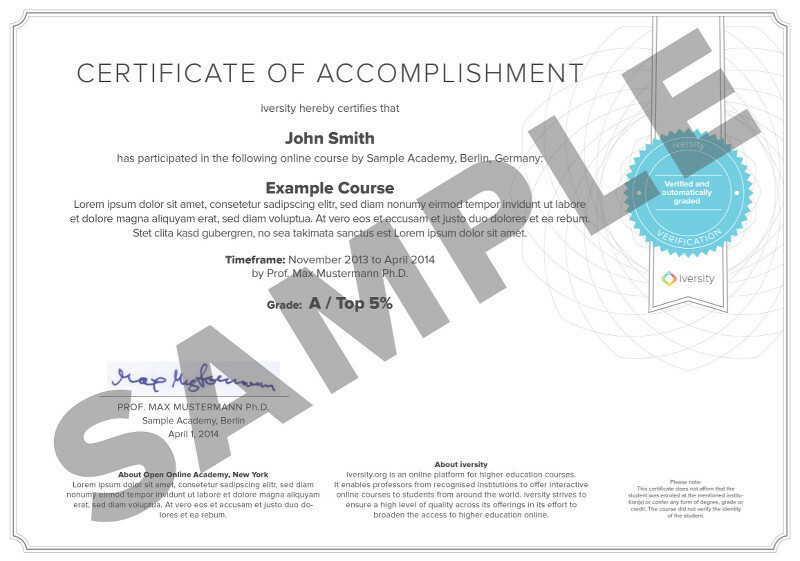 In addition to your 2 Certificates of Accomplishment, you will receive a Certificate Supplement for each. This contains detailed information about the course content and your learning achievements, backing up your hard work with the details employers may ask for. This Certificate Track Bundle is available for purchase until 1 November 2015.